Filled with our very finest Polish white goose down 700+ fill power. 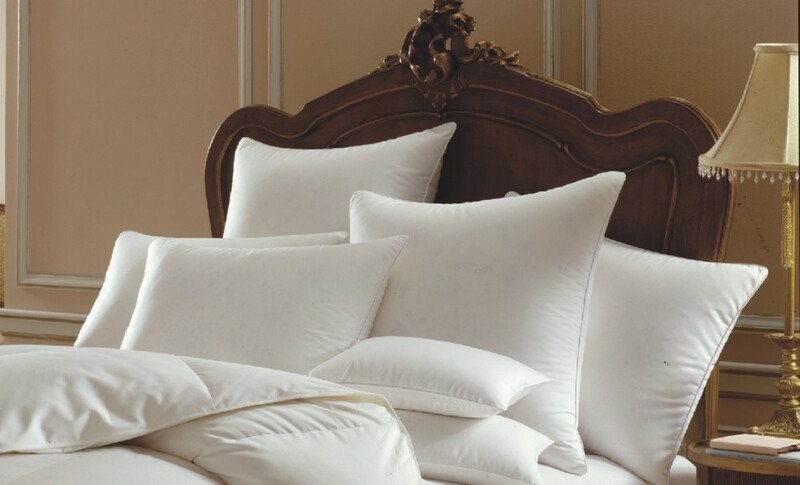 Covered with a 354 thread count Egyptian cotton woven in Germany. We make this pilow in three weights. The soft is really super soft and has the feel that reminds one of a pillow that has been around for years and has become an old friend. The medium (most popular weight) has a bit more body to it, but is still soft. The firm has quite a lot of body for the person who wants their head raised more and who is usually a back sleeper. We recommend using our 400tc pillow protectors.